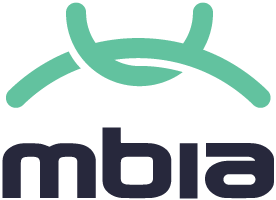 Oversubscribed round led by DataTribe, Bull City Ventures and TEDCO's Seed Fund. 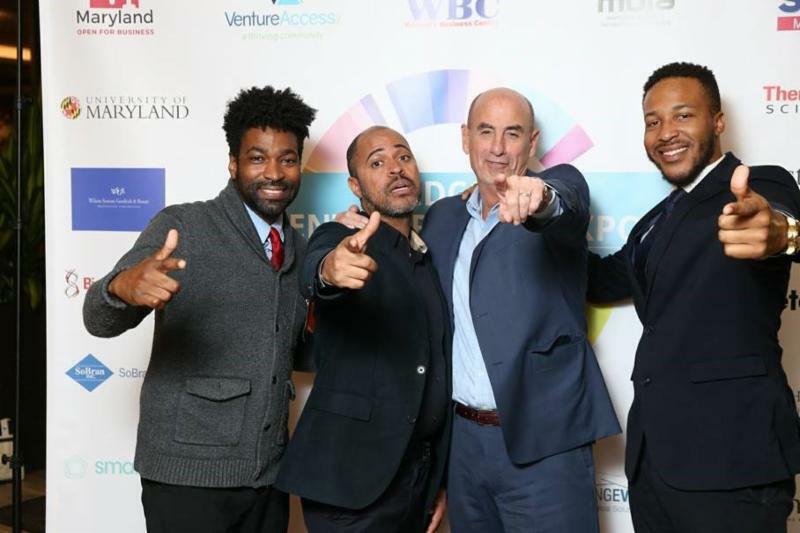 Pictured: (from left) Brian Hill of GoFetch, Brian Barber of Mr New School, George Davis and Richard Foster of Student City Suds. Pictured: (from left) Brian Hill of GoFetch, Kelvin Iliana, President of CEO Club and Academy Intern, Deronta Craig of Mary’s Little Helper, Brian Barber of Me. 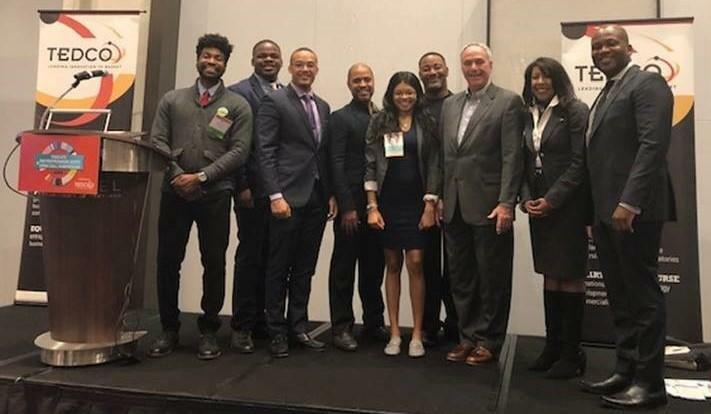 new School, Danae Stewart, President of Student Entrepreneurship Advisory Council, Dr. Eric Bonsu, Chair of Entrepreneurship Faculty Steering Committee, John Wasilisin and Johnetta Hardy, Executive Director. 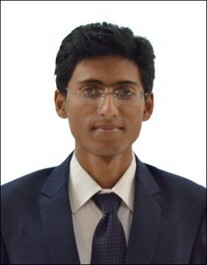 Did you take a Professional Headshot at the Expo? 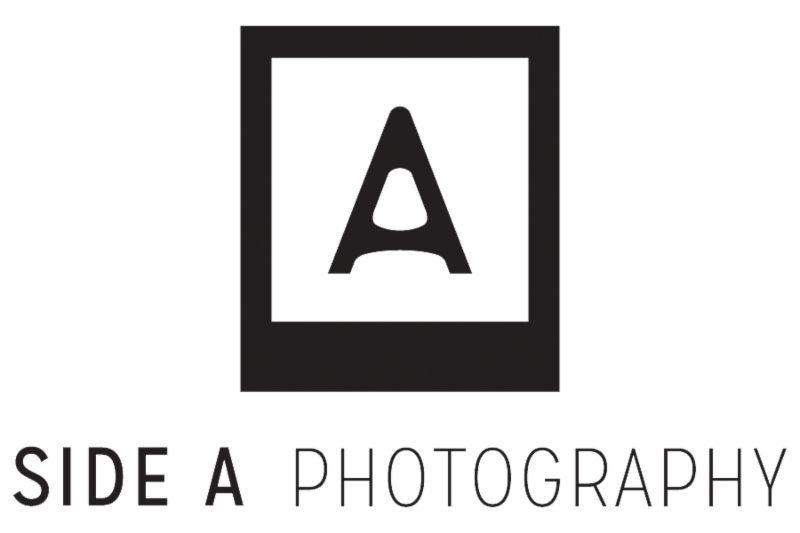 A special thanks to our photographers at SIDE A PHOTOGRAPHY for taking everyone's headshots! 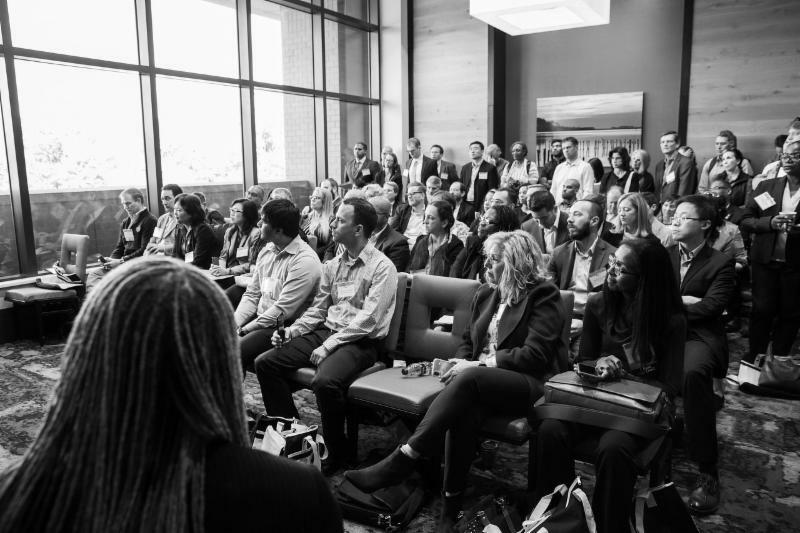 The Small Business Innovation Research (SBIR) Proposal Lab is hosting a free live webinar for small business owners with an innovative technology idea. With SBIR proposal lab guidance, you can get awards up to $150,000 in Phase I to prove your innovative idea. Then you become eligible to apply for Phase II funding up to $1,000,000. 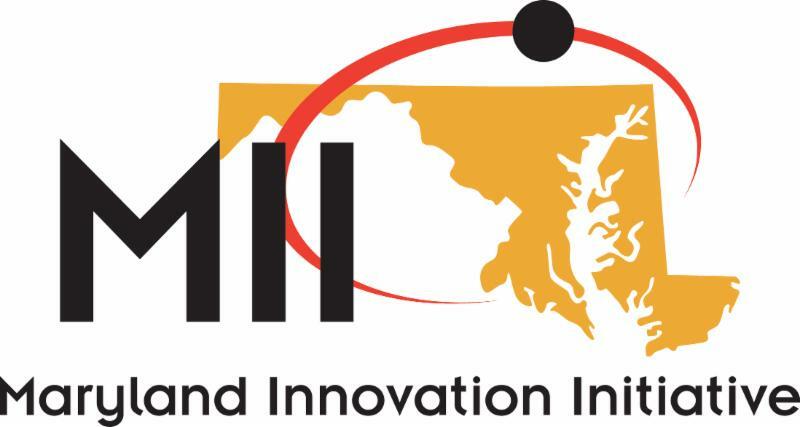 Find out if you qualify for the SBIR Proposal Lab for Maryland small businesses that will show you how to get Federal seed dollars. This could be your opportunity to bring your idea to reality. Proliferation of technologies such as IoT and BYOD has transformed the Enterprise IT landscape from what it used to be some years earlier. Cybersecurity is now one of the top management concerns. Companies are rethinking their security practices to thwart increasingly sophisticated threats emerging from the cyberspace. In this briefing we will explore the scale of impact that cybersecurity concerns have on dictating the IT practices of enterprises. The briefing will also highlight the emerging innovations and approaches followed by security solution providers to maintain resiliency in an ever changing security environment. 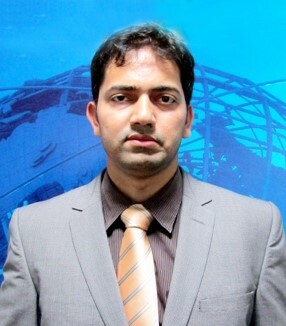 Around 12 years of experience in primary research, strategic consulting and program management. 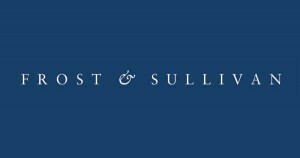 Over 3 years of Market Research & Consulting expertise, closely working with clients in major ICT companies. 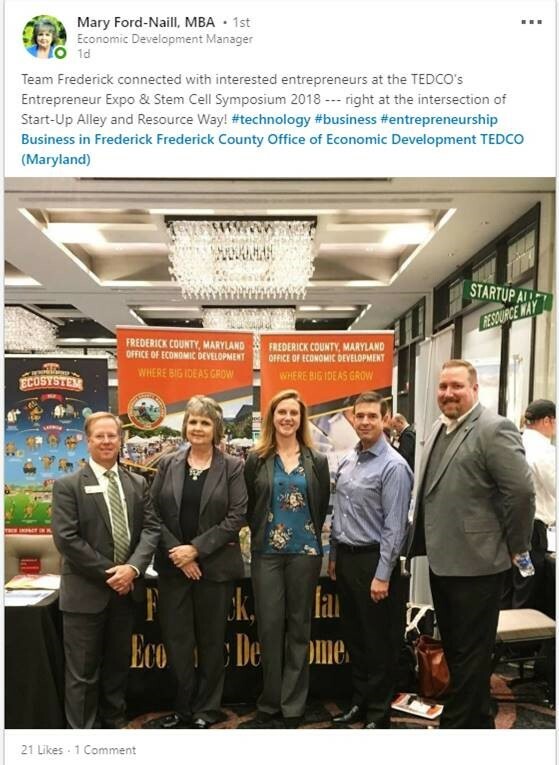 Each year TEDCO provides a total of $175,000 in grant funding to individual incubators that are members of the Maryland Business Incubation Association (MBIA) via the Incubator Assistance Program. The grants are intended to fund incubator initiatives that could not otherwise be funded by either the incubator or its client companies, and cover mentoring, coaching, advising, and other incubator services intended to help the incubator’s client company successfully scale its business. The Program is competitive and, typically, 15 incubators are funded with grants ranging from $5,000 to $25,000. 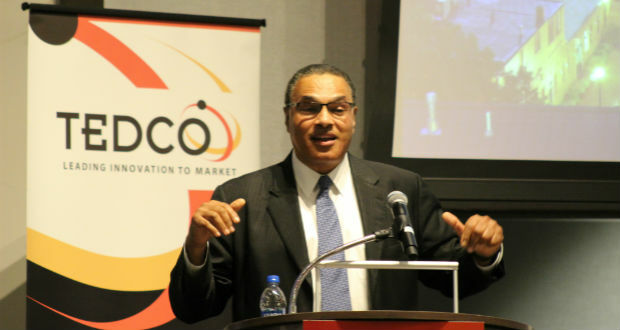 FY2019 saw a major change in how the Incubator Assistance Program is administered. 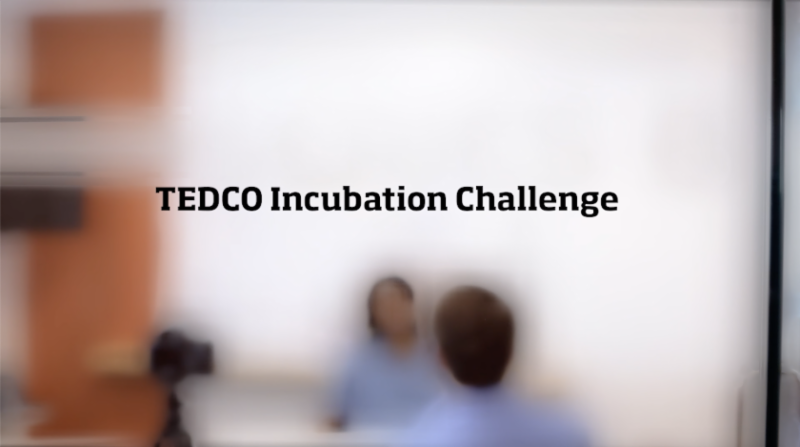 For the first time ever, TEDCO made a single master grant of $180,000 to the MBIA providing that the Organization undertake the entire process of making sub-grants to its member incubators. The amount of the grant includes an allocation for MBIA’s program administration costs. TEDCO made this change for three reasons: 1) By moving the grant making process closer to the actual user, it is hoped that more impactful decisions will be made, 2) By moving the grant making process into MBIA’s scope, it is hoped that the Organization’s legitimacy will be enhanced, and 3) By making one grant instead of 15, TEDCO and the OAG’s Office realize significant time savings. On October 15 th MBIA completed the entire grant adjudication process, making grants to 16 different incubators in amounts ranging from $4,000 to $20,000. What revenue model should you use? How do you figure out pricing? What is your growth trajectory and how do you plan for growth? 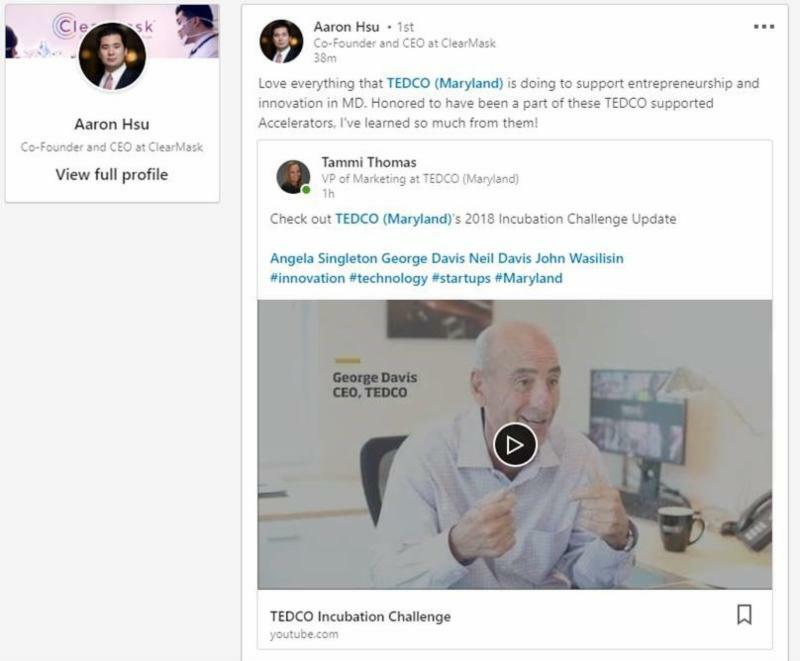 Come join the TEDCO Builder Fund to learn the answers to these questions and more from the local entrepreneur who built a 900 million dollar company Vince Talbert. Learn what questions every business should ask to grow, protect, and succeed. 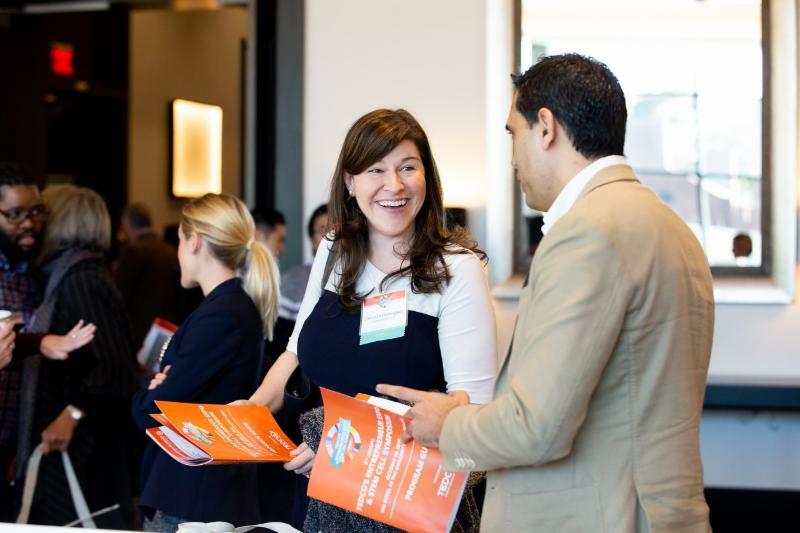 After the panel, have one-on-one, micro-meetings immediately with experts in accounting & taxes, finance, leasing & commercial real estate, cybersecurity, marketing & public relations, workplace safety, and business owner advisory services. 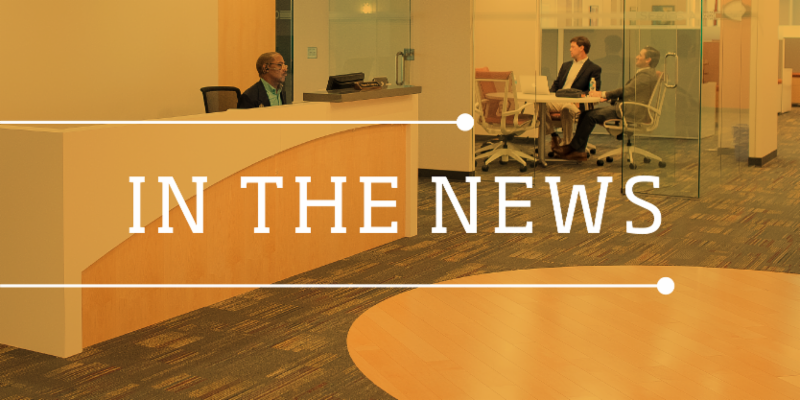 Think your company would be a great fit for Bethesda Green's Be Green Hub incubator program, but have a few questions? We invite all female entrepreneurs to join us at Bethesda Green to learn more about our program and our application process. Arrive early to network with members of the Bethesda Green community. Presentation and Q&A will begin at 5pm. Student entrepreneurs are the next generation of changemakers, innovators, and leaders. 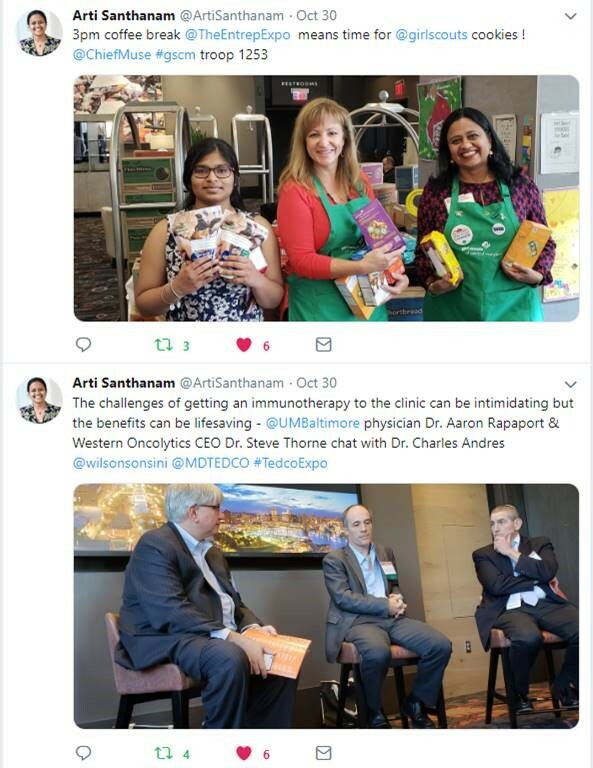 Innov8MD is here to celebrate them. 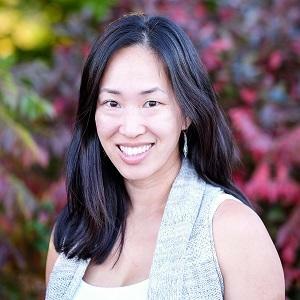 Learn about financial modeling and what stories they tell with the financial consultant and former local VC Grace Garry. Grace will be walking through how your financial model can affect the growth of your company and your ability to raise funding. 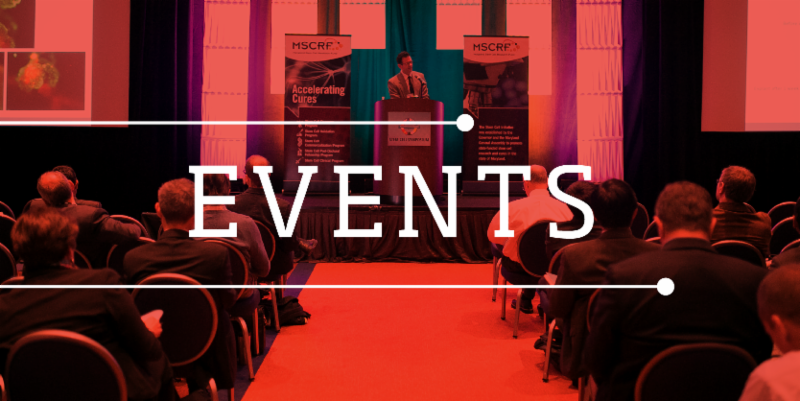 Join us for an evening of fun and networking at a joint happy hour with our friends from MD Cyber & MD Cyber Community Meetup Groups. Bring plenty of business cards! Registration is open ! You're at risk of a cyber attack. Every business is. 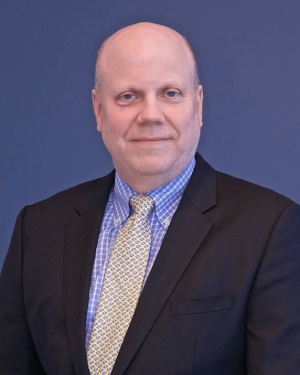 Join Ken McCreedy, Senior Director, MD Dept. of Commerce to find out if you qualify for tax credits to help make your business more secure. 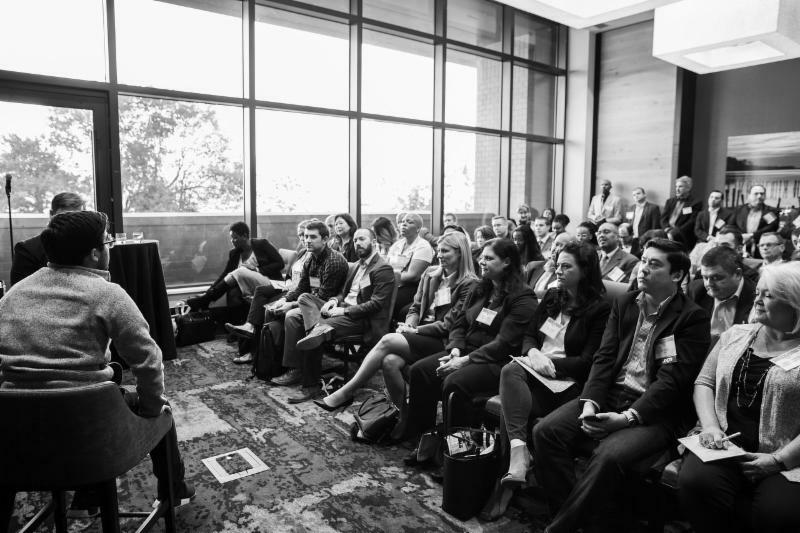 This week the TEDCO Builder Fund will be having legal experts from Ballard Spahr speak on Personnel Strategies that deal with Founders, Management, Employees & Boards. Learn how to deal with roles and equity, the hiring process, how to structure and manage a board and much more. 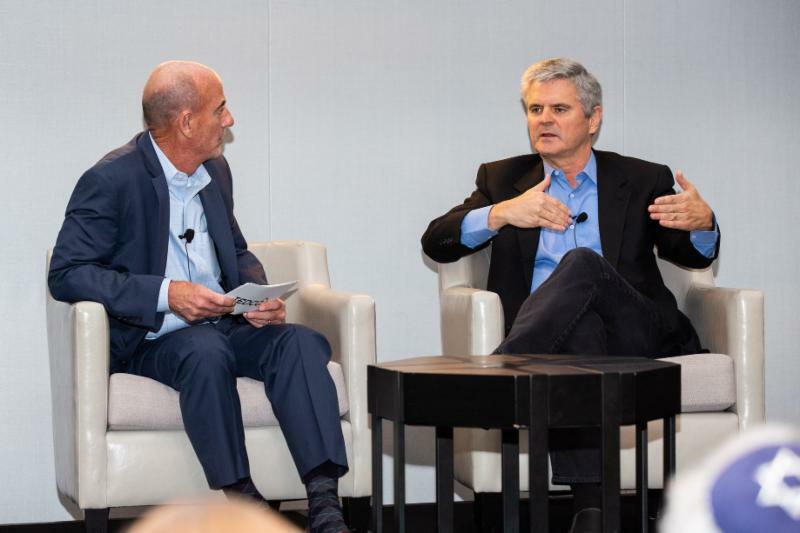 AOL co-founder Steve Case says people tried to get him to move his company from Virginia to Maryland for years. 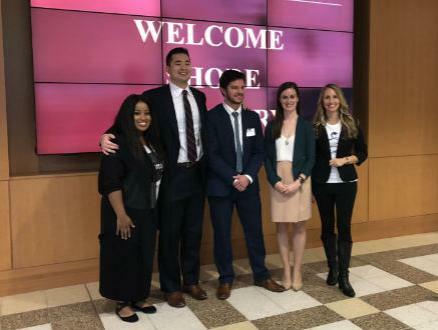 Baltimore-based startup ClearMask took home the $30,000 top prize Friday at Salisbury University’s biannual Ratcliffe Foundation Shore Hatchery entrepreneurship competition, hosted by Salisbury University. 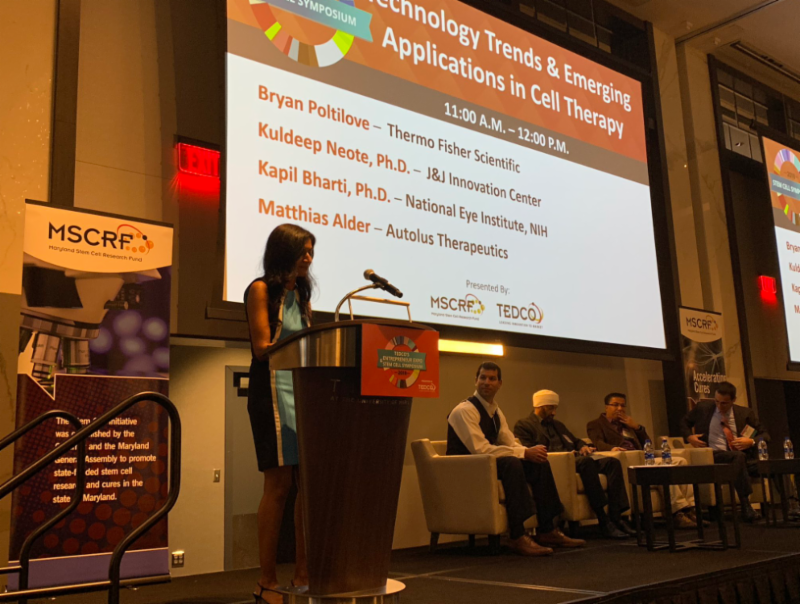 Longeveron LLC is a regenerative medicine company developing cellular solutions for aging-related diseases. 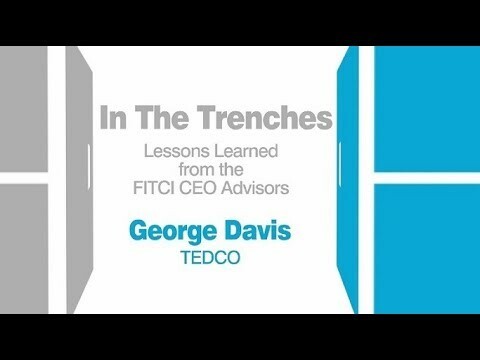 News of a pair of moves on boards that fall under the umbrella of TEDCO was announced in recent weeks. The Shore Hatchery here at Salisbury University has become one of the premiere opportunities for local entrepreneurs and Friday over a dozen were making their pitch in hopes of receiving part of $200,000 in funding. 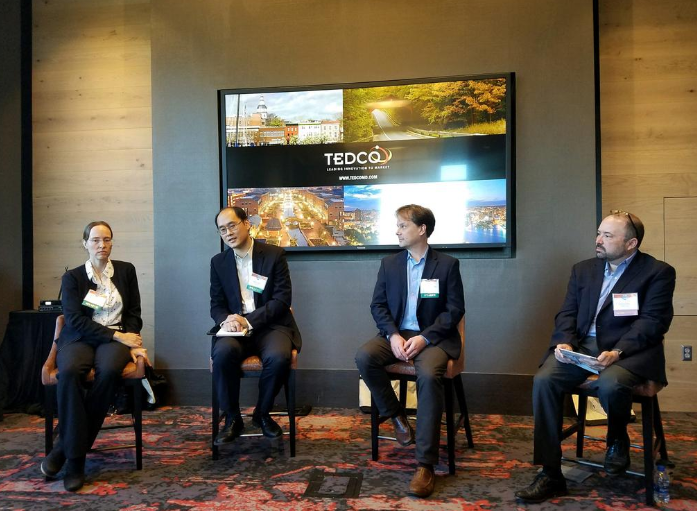 Celebrating TEDCO's 20th year, the annual Entrepreneur Expo and Stem Cell Symposium focused Thursday on the next steps Maryland should take to realize its potential as a startup ecosystem. 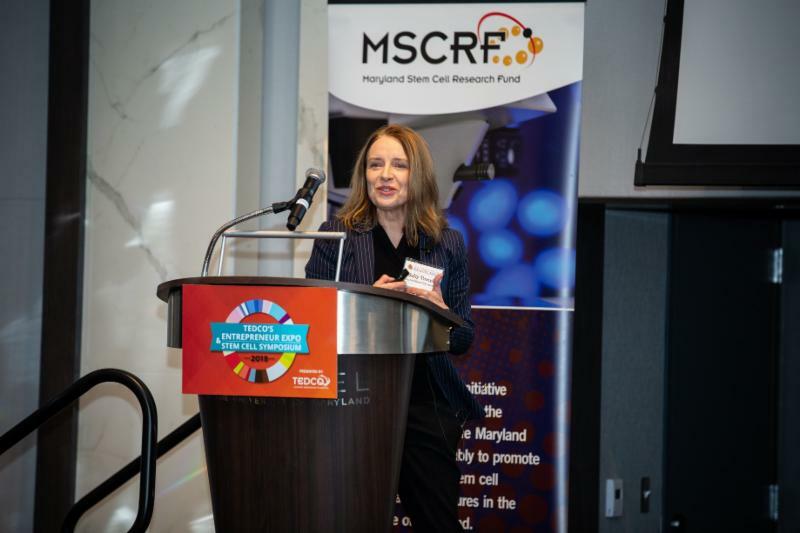 Dan Gincel, Executive Director of the MSCRF (Maryland Stem Cell Research Fund), kicked off the 10th annual Stem Cell Symposium which has combined to be part of the Annual TEDCO Entrepreneur Expo for the past two years. 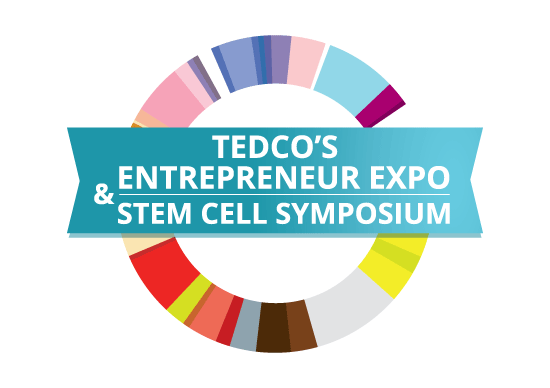 Viela Bio was featured this year at the TEDCO Entrepreneur Expo and Stem Cell Symposium as part of a special track on ‘Building Great Companies.’ Their panel discussion, titled ‘Corporate Spinouts: The Viela Bio Story,’ gave attendees a behind-the-scenes look at what went into the company’s launch from AstraZeneca. 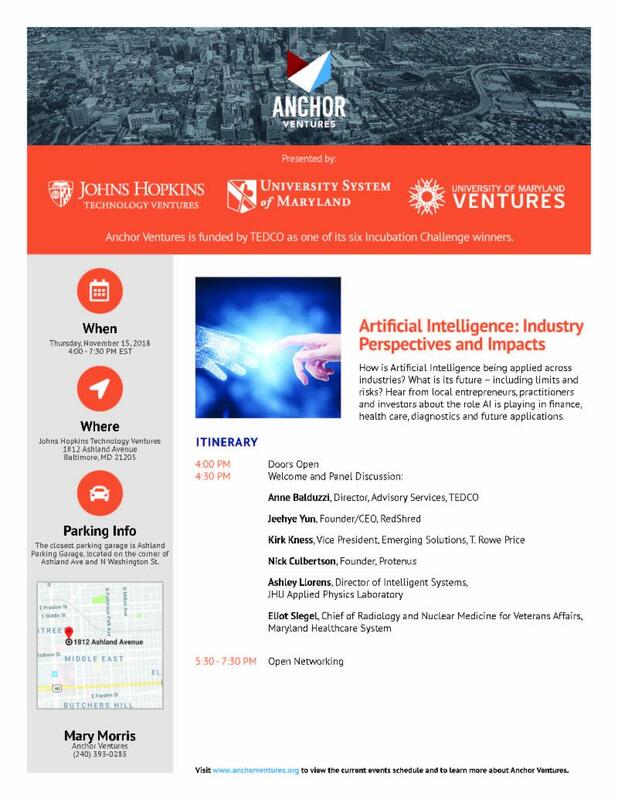 Aaron Ren (second from left) is the head of business development and operations at startup Viela Bio, a MedImmune Inc. spinout. 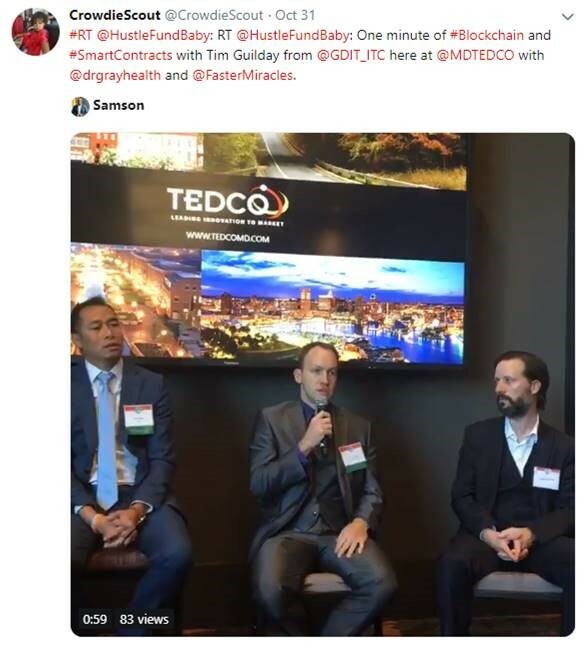 He spoke on a panel at TEDCO's Entrepreneur Expo along with some of the lawyers who worked on the spinout deal.